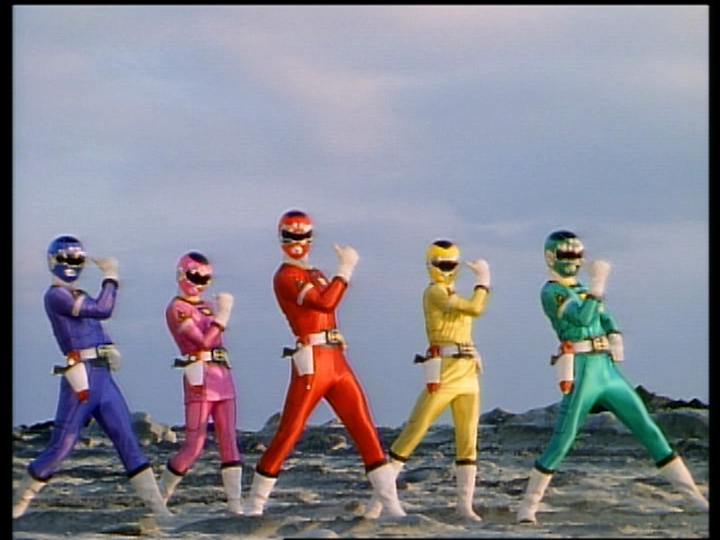 Welcome to the third and final post this month on Gekisou Sentai Carranger! Not up to date on the Carranger love on CCLemon99.com? It might be worth checking out the previous posts before heading into the conclusion. In Part 1 I took a look at the in's and out's of what made this series so unique and fresh. In Part 2 I give a rundown of basically all of the characters in the series with impressions on, well, most of them. So what else is there left to say? Three words: Top. Seven. Lists. What series overview on this site would be without them? Well, except Jetman since I basically rage quit that series after those posts (it's bad when you're rooting for the villains without really liking them either). I dreamed up a few "Top 7" topics for this post, so let's do it, shall we? Most series up to this point have had anywhere from three to ten insertion or image songs. Carranger had about forty. This is one of the very few series you can make a Top Seven list of IN/IM songs and still have plenty of change left over. If you're curious about a lot of the songs on this list, I have you covered on this handy review of all of the 8cm CD Singles from the show. I love great action songs like this. Since Giga Formula is rad, this song is too by default. Just a well made song. They even got Tatsuya Maeda to give singing a Sentai song a swing. I wish they would have given him a Sentai theme song sometimes, but when songs like Catch The Wind exist, it suddenly becomes alright. The single for this won the coveted 'Recommended Pick' in my 8cm CD Single post. Not only is the packaging for the Single great, but the song itself is a lot of fun and unique when compared to a lot of other similar songs. I believe this was Norio Sakai's Super Sentai debut. He'd previously done songs for Kamen Rider BLACK (including the ending song) and the theme songs for Denko Chojin Gridman. Memorable tunes are his forte, and this song is no exception. This one held the same position on my Top 7 list of Sentai Heroine songs back in 2014. The only thing that could've made this song better is if it got used a little more in the series. Far from being the first character song, this might be one of the few that are actually worth a damn. 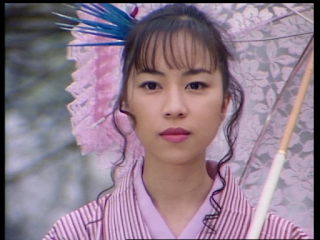 Yuji Kishi isn't half bad at singing as it turns out. The popularity this tune has is very well deserved. 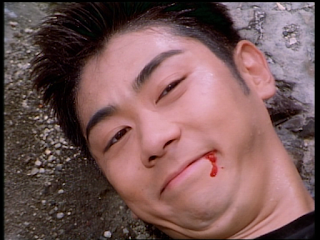 Carranger is the last series to stick to the short episode format. More than anything else, I think that adding five minutes to the runtime of each episode doesn't work for Super Sentai. At twenty minutes (with credits, more like seventeen without credits in Carranger's case) the episodes were precision tight. I did a post on this topic (exactly six years ago as it turns out). 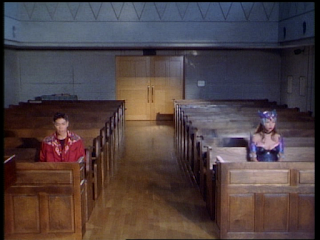 I really don't think they've ever figured out what to do with those extra five minutes since moving to Sunday mornings during Megaranger's run. Carranger kicked off a slew of technical problems that seemed to plague Toei for years. While the shows leading up to it used some pretty outdated equipment, at least the look was consistent and had a charm of it's own. 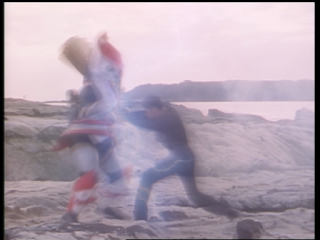 Referring back to my first post on Carranger, the poor quality is jarring at times. Some would probably have this higher on their list, but it's largely passable as a whole. 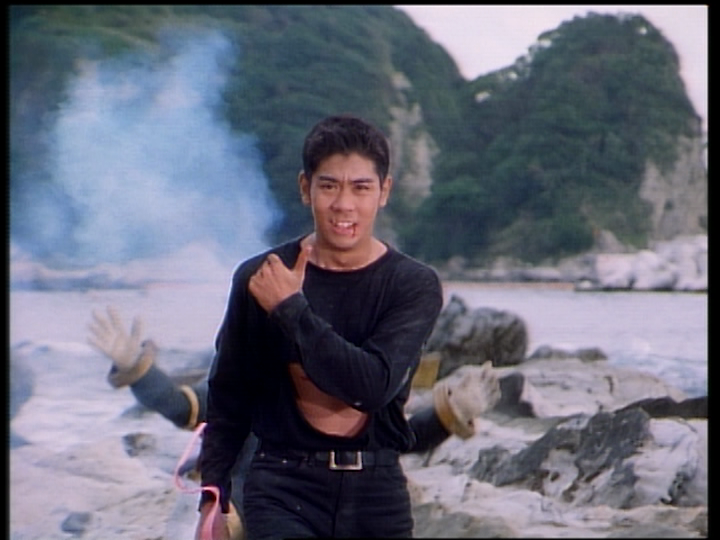 As I mentioned in part one, Toshihiko Sahashi's Super Sentai debut definitely made me a fan of his for life. I have read that he kinda felt like he was very ill-prepared for Carranger (maybe that is why there was no music playing during their roll call in the first episode), but the fact that there are three music collections for the series kinda says otherwise. Besides, they invited him back for Gingaman, both Kyoryuger series, and a handful of Rider series. This show is both well written and hilarious, what else can I say? Hats off to the prop department for their work on this series. Everything looked excellent in this series...start to finish. In most series you can tell when they've lost steam based on how lazy the weekly monster design is. Not in Carranger. 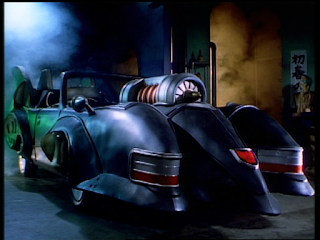 On top of that, you have a lot of great equipment like the Speeder Machines (and the wild vehicle that eventually replaced them). All of the mecha is terrific. When the weakest looking thing in the entire series is the still-cool Giga Booster, you're doing alright. I guess the most generous thing to say about the action in this series is that it's average. There are a few stand-out moments sprinkled in, but the series is mostly driven by it's comedic story over the genre-defining action. Everyone in the cast, at bare minimum, is likable. If you watch this series and don't want to be friends with everyone at Pegasus, the problem is you. As noted in this excellent Tokusatsu Network interview with Yuji Kishi, the casting of Carranger and B-Fighter Kabuto was done together and then divided up. They made all the right decisions on the division and took their sweet time putting a great cast together. 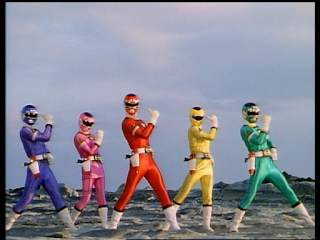 I'll put it this way...the only Sentai 'vs.' movies worth seeing are the two featuring Carranger. Sure, it's a lot of fun bringing the Carranger flavor back to V Cinema, but it's also a lot of fun catching up with our old friends... Even if it means coming to the realization that they make the Megarangers seem like elder statesmen in comparison. There are so many great Minoru moments to choose from, but this is hands down the best. Minoru manages to take out an enemy on his own and completely ruins it by losing his Accel Brace while practicing victory poses. 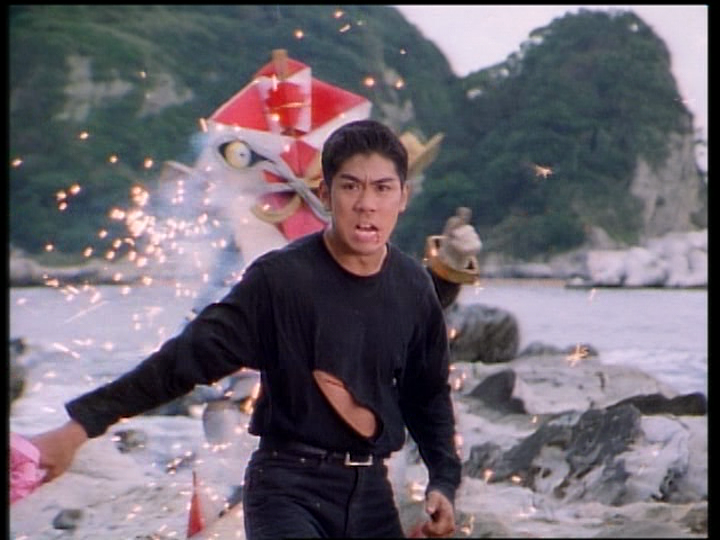 It wasn't until the twin brother of the defeated Gorotsuki showed up did he realize he only had his Accel Key. Only Minoru could go from badass to dumbass so quickly. This episode had so much going on. 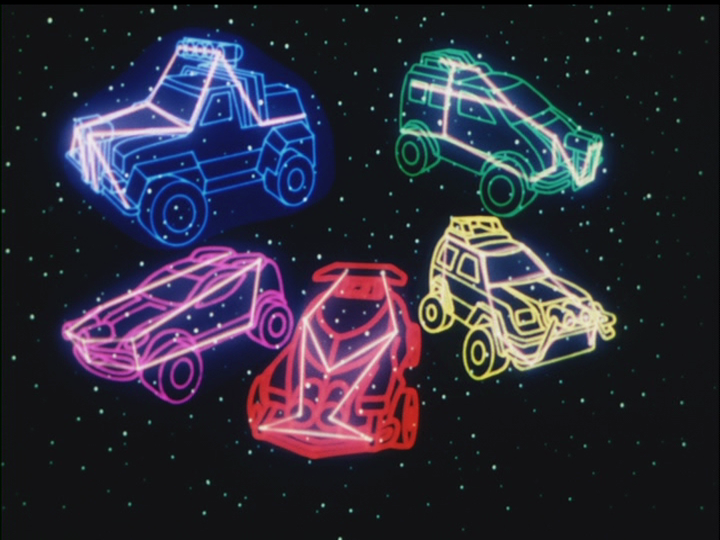 When the Carrangers were in trouble against the Zokurangers, the mysterious White Racer shows up. 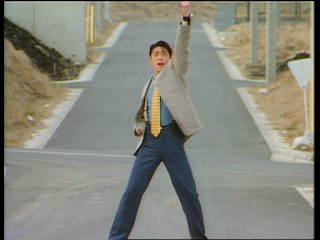 We're treated to a lot of revisited Super Sentai poses and attacks along with a new hero of questionable origin. SS Pamaan's sword was pretty sweet too. 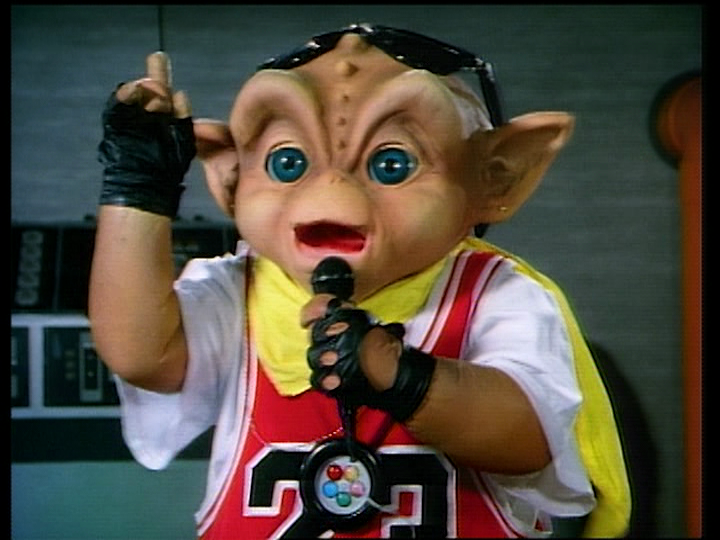 I know a lot of people would have this one higher on their list, but I kinda wish Zokuranger and White Racer's debut happened in separate episodes. There is just a little bit too much going on. With Dappu in hibernation and Signalman heading back to his home planet, the Carrangers find themselves in a very serious pinch for the first time. 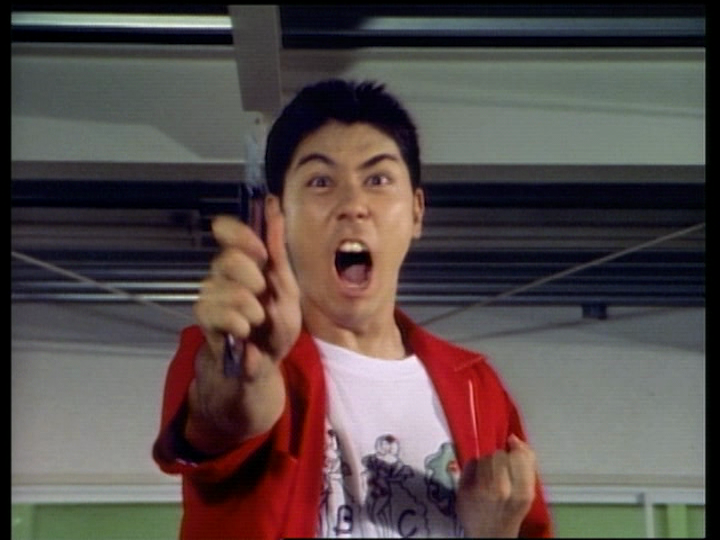 Ritchiritchihiker has his own mecha, Braking, and immediately gave Carranger a run for their money. With RV Robo stolen, there really is nothing the Carrangers can do...until a mysterious figure confronts them in the night. Kyosuke has finally decided that it is time to reveal to Zonette that he is, in fact, Red Racer. As it turns out, she is running from an arranged wedding with Gynamo that is being thrown by Exhaus. Kyosuke sees this as his opportunity and vows to protect Zonette as himself without transforming into Red Racer. 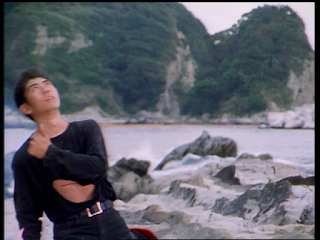 When I mentioned that this show kinda falls short on action thanks to it being largely limited to suit fighting, this episode is kinda where it pays off. Kyosuke fighting to protect Zonette is easily one of the best and most memorable scenes from the series. 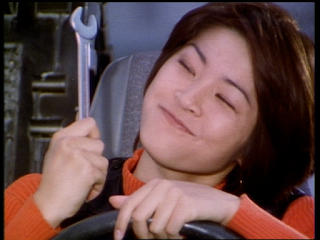 Bowzock is after a magic wrench that is owned by Natsumi. Some pretty crazy chases ensue and the wrench is stolen from Natsumi and turned evil. In the hooplah, Dragon Cruiser is damaged and Natsumi eventually overcomes her loss to mend it and retrieves her wrench. Totally not the Batmobile, guys. There is a lot to like about this one. First, it was another episode to let Natsumi shine a bit more. Maybe it was a bit late in the series to introduce something like a magic wrench, but this is something that I think hampers a lot of otherwise level-headed people--superstitions. Natsumi was able to rely on her abilities to overcome her fear of not being able to repair an injured Dragon Cruiser once her wrench was stolen. Maybe that is a little bit silly, but how often do you or someone you know get stopped by superstition? For being a randomish fillerish episode (outside of regaining RV Robo, it's basically filler), this one is packed and incredibly well-done. The meshing of Kyosuke's freakout, the attempted trip to Korea in RV Robo, and the ultimate return of RV Robo are just so well executed. 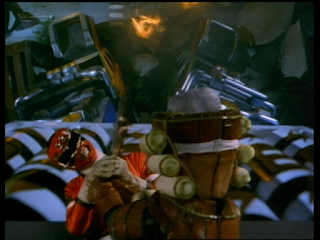 On top of all of that, the fight between Red Racer and ZZ Gyuuri on RV Robo is something to behold. Really, I criticized the series for not really being all that great with the action...but this episode absolutely nails it. 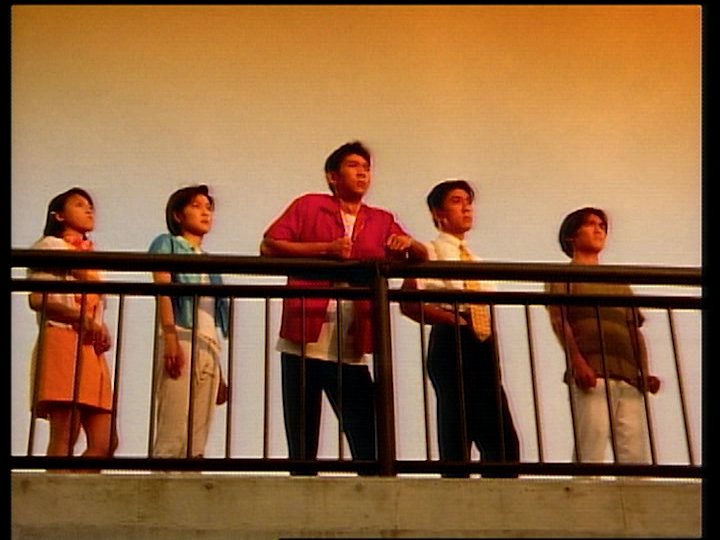 That does it for Gekisou Sentai Carranger! Next up is Denji Sentai Megaranger...maybe? 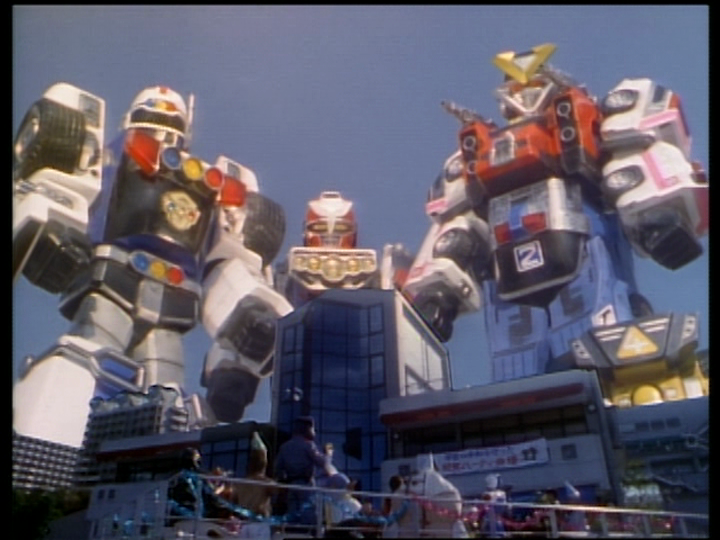 Here's the thing--I've only ever seen Megaranger once. We're kinda getting into unfamiliar territory. Since Shout! Factory is releasing it, you bet I'll be picking it up. I'm sure I'll have something to say. Keep your head and arms inside the vehicle at all times! Shout Factory needs to hire you for promotion, because your posts always make me want to crack open my DVDs. It happened with Zyu and Oh, and those are two shows I don't like! Now I really want to get to Car (I've got to finish a couple of other things I'm rewatching before I have room for Car). I always thought Carranger had pretty decent action. Especially considering they could have been REALLY lazy, thinking a comedy doesn't need good action. The earlier half has the best action, before Junji Yamaoka leaves the franchise (again). Look at the chaos in that first episode! You're right, though, that the show doesn't have good pre-transformation fight scenes, though; and I think Carranger's the beginning of the end for those. From Mega on, the most action the cast members will do is a lazy elbow to a grunt's belly before they just transform. I always found that sad, especially growing up with the '80s shows that have crazy action (usually thanks to a cast member or two being Japan Action Club members). Maybe I should go easier on Blue Racer's actor, if there were a possibility that one of the awful B-Fighter Kabuto actors could have wound up in Carranger, heh. And that's a good pick of top episodes, by the way. I never really cared much about the magic wrench episode, but the spin you give it makes me appreciate it a little more. It's still a weird episode to have so close to the finale -- I usually dismiss it as one of those "Oh, it's the goofy one before the wrap-up hits the fan." I work with someone who is utterly brilliant at their job but is almost crippled by superstitions. It's bizarre that someone so sensible can just get stopped in their tracks over their own hang ups. 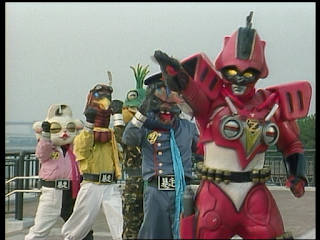 It's funny how real life stuff can make you appreciate an episode of Super Sentai more. Maybe it being a very late episode made it even better since there was never a hint of anything being askew with her before that. 100% THIS about Kishi. He truly is a national treasure. Kyosuke might not be my favorite Red (damn close), but Kishi is my favorite actor to play one. It didn't need one. Fantastic toyline!